Harley Clarke Mansion, 2603 Sheridan Rd. Evanston residents voiced their concerns about the resolution to demolish the Harley Clarke mansion before City Council votes on Monday. Evanston residents spoke out against a resolution concerning the future of the Harley Clarke Mansion and Coach House that Aldermen will vote on at Monday’s City Council meeting. The resolution, presented by the Evanston Lighthouse Dunes group during the public comment section at the May 29 City Council meeting, calls for demolition of the Harley Clarke Mansion and Coach House. Nicole Kustok and Jeff Coney, members of the Evanston Lighthouse Dunes group, said the group had the necessary funds to perform the demolition and restore the Jens Jensen historical garden and dunes at the meeting. According to city documents, the resolution will allow the City Manager to meet with the Lighthouse Dunes Group to talk further about the city accepting the group’s financial support for the restoration of the gardens and dunes and the demolition of the mansion and Coach House. The city was previously in talks with non-profit group, Evanston Lakehouse and Gardens, which wanted to restore the gardens and renovate the mansion, but City Council denied the group’s proposition of a 40-year lease in April. Tom Hodgman, board president of Evanston Lakehouse and Gardens, said the restoration of the dunes and the proposition of tearing down the Harley Clarke Mansion are two separate issues. 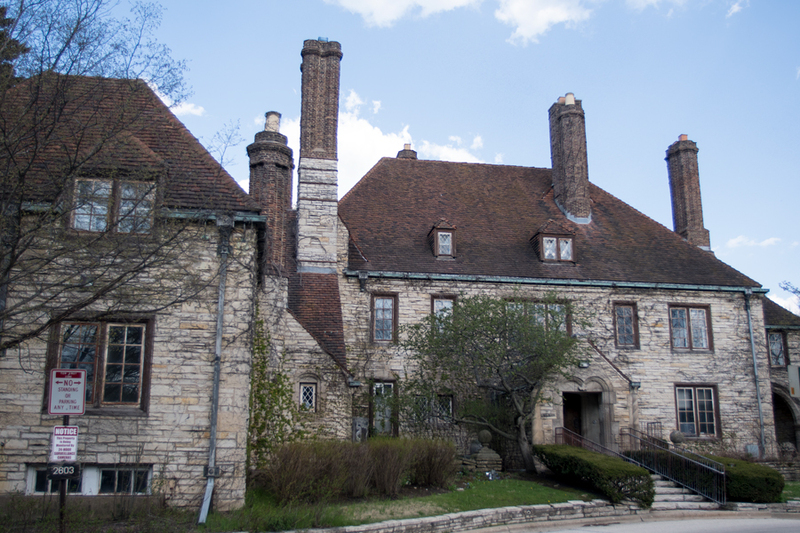 Hodgman added that the Harley Clarke Mansion is the only public lakefront house in Evanston and it gives everyone the opportunity to experience “the connection of built and natural environments” in the Great Lakes area. Jan Grimes, an Evanston resident and former Director of the Illinois Historic Preservation Agency, said demolishing the Harley Clarke Mansion could have significant consequences for Evanston, such as jeopardizing the city’s status as a Certified Local Government. She added that the mansion is a National Register designation due to its location in the Northeast Evanston Historic District. Grimes added that preserving landmarks boosts the economy and draws more people to the area, but also raises property values and creates a larger sense of community in the area. Evanston resident Bennett Johnson said he thinks the demolition is “stupid.” Johnson, who said he lived down the street from the Harley Clarke Mansion in the late 1930s, said tearing down the mansion would take away future opportunities for Evanston residents. Johnson added that he believes a better solution would be allowing Evanston Lakehouse and Gardens to renovate the mansion and turn it into a public space for all residents to use. Hodgman said Evanston Lakehouse and Gardens hopes the resolution will not pass on Monday and the group will continue to talk and work with the City regarding their plans for the Harley Clarke Mansion. He added that if this resolution were to pass, then the space where the mansion now stands will turn into mostly grass. This article has been updated to reflect new information about the historic designation of the Harley Clarke Mansion.